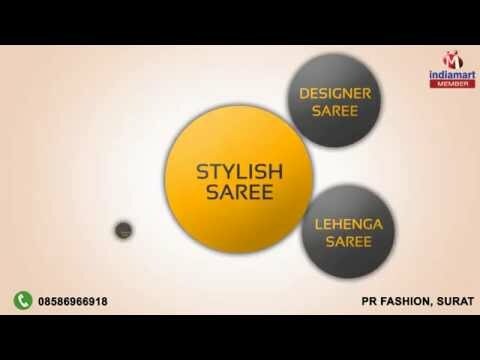 Welcome to Pr Fashion, established in the year 2011, we are among the topmost manufacturers, suppliers, wholesalers and exporters of a wide range of high quality Designer Sarees and Suits. The product range offered by us is Stylish Saree, Designer Saree, Lehenga Saree and many more. The designer sarees and suits offered by us are designed by our designers from quality assured fabric yarns that are sourced from reputed vendors. Offered by us, these designers sarees and suits can be customized as per the color combination and design provided by the clients. For the purpose of processing these designer sarees and suits in fulfillment with prevailing fashion trends, the advanced weaving tools and equipment are widely used. In addition to this, offered designer sarees and suits are known for their vibrant color combination, optimum color fastness, excellent sheen, aesthetic finish, resistance to shrinkage and lightweight. We export our products all over world.